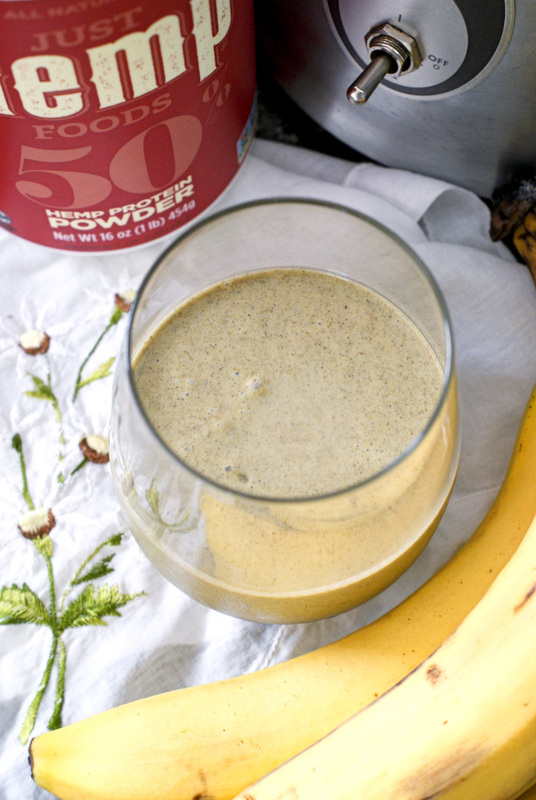 This Banana Hemp Protein Smoothie is my go-to post workout treat that features frozen bananas, almond milk, peanut butter, and hemp protein powder. Last month as part of the awesome Choctoberfest celebration, I got my hands on some goodies from the folks at Just Hemp Foods. Let me tell you, I was so excited about it! I am a firm believer that hemp is a widely underused industrial resource and underrated food source. Hemp is so good for you! A super food, as a matter of fact. Not to mention the fact that hemp is yummy. Awesome, right? I'm so happy to have found Just Hemp Foods! 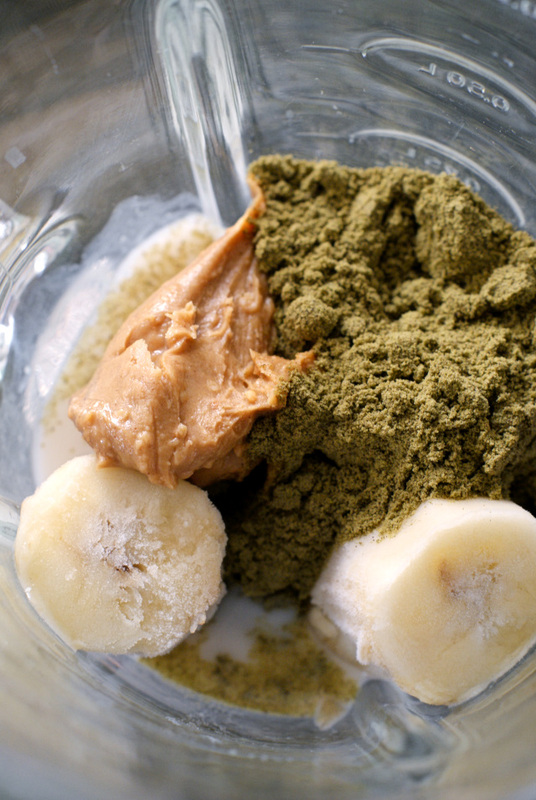 This particular smoothie uses hemp protein powder and one of my fave smoothie combinations, peanut butter and banana. I like to use unsweetened vanilla almond milk for my smoothies, but you could easily substitute any kind of milk. You can add a little honey if you like your smoothie on the sweeter side and I've also added some chcocolate ovaltine for a chocolaty smoothie! Yum! For an awsome post workout smoothie or an anytime treat, this smoothie does the trick! Easy to make, super good for you, and tasty. Love it! Put all of the ingredients into your blender and blend until smooth. Serve immediately. Makes one smoothie. If your banana is not frozen, add a handful of ice and a little extra almond milk. 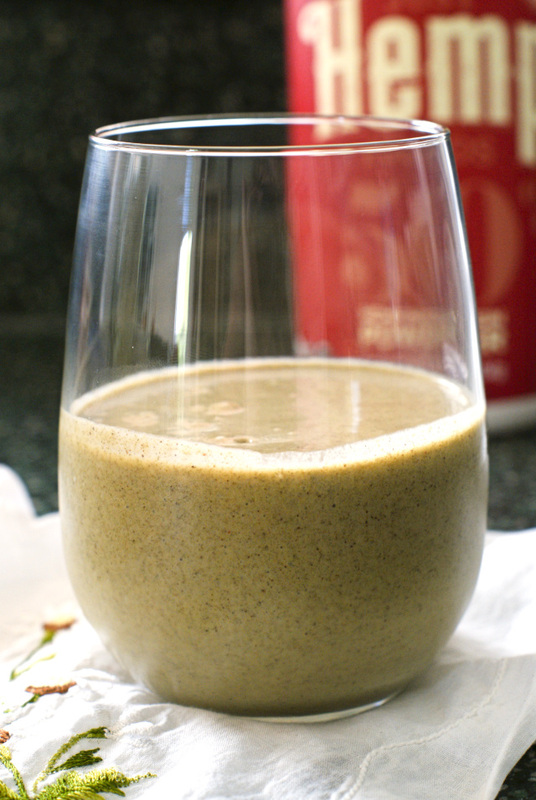 I was sent samples of Just Hemp Foods Hemp Protein Powder that was used in this recipe. I love their products! As always, all thoughts and opinions are 100% my own.